Data recording and storage of the data is fundamental in process control. Quality and repeatability of the manufacturing data need to be kept under close control for industries such as Food Processing, Conservation and maturing, beverage, pharmaceuticals, chemicals and petrochemicals, heat treatments etc. 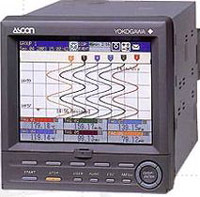 We offer high reliability and quality chart recorders with 100mm and 180mm chart widths and videographic paperless recorders with several sophisticated functions such as mathematical functions and Ethernet serial communications and unalterable data storage. Protocol Conversion Feature Converts Numerous Protocols Simultaneously. CompactFlash ® Slot Allows Process Data to be Logged Directly to CSV Files. Virtual HMI Offers Built-in PC-based SCADA Functionality. Built in Webserver Provides Worldwide Access To Data Logs And Virtual HMI. 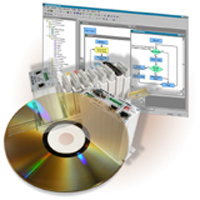 Extensive Built-in Driver List Allows Easy Data Mapping to PLCs, PCs, and SCADA Systems. Alarm Notifications can be sent via Email or Text Messages. 10 Base-T/100 Base-TX Ethernet Connections Can Connect To An Unlimited Number Of Devices Via Four Protocols Simultaneously. R and S series SNAP PAC’s are the programmable automation controllers that address all of your industrial automation needs. With Snap PAC you can EXPECT MORE, GET MORE AND DO MORE. The SNAP-PAC-R1 programmable automation controller provides control, communication, and I/O processing in a compact, rack-mounted package. One of four components of the SNAP PAC System, the SNAP-PAC-R1 is fully integrated with PAC Project software, SNAP PAC brains, and SNAP I/O modules. 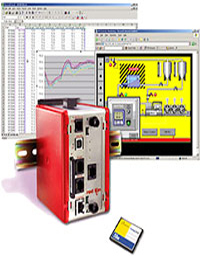 Used with the included PAC Project Basic software suite (or PAC Project Professional, purchased separately), the Ethernet-based SNAP-PAC-R1 can handle almost all your industrial control, remote monitoring, and data acquisition needs. 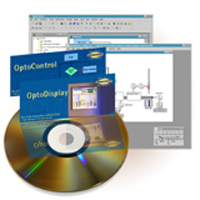 ioProject Professional is a legacy software suite of control and HMI development tools, an OPC server, and configuration utilities. The suite includes ioControl Professional, ioDisplay Professional, OptoOPCServer, and ioManager. 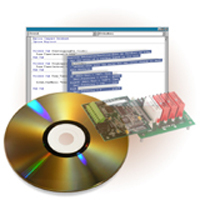 ioProject Professional was designed for use with SNAP-LCE controllers and SNAP Ultimate I/O. The 900EN series is a rugged, high-performance line of Ethernet distributed I/O modules. Modules feature universal input/output ranges and an intelligent microcontroller to provide extreme flexibility and powerful remote monitoring and control capabilities. Select from a variety of analogue and discrete I/O models to meet your application requirements. Each inch-wide module has a direct network interface, processes I/O signals on up to twelve channels, and handles power conversion. This space-saving approach is very cost-effective for systems that need to add I/O channels at an existing control site or network to new remote sites. By comparison, many “block I/O” devices would require a large, expensive processor block, an I/O rack, individual plug-in I/O terminal blocks, and a special system power supply. The I/O modules are easily configured using your standard web browser. Each I/O module has embedded web pages to help you set up and control the unit. These web pages guide you through the steps to configure network settings, calibrate the module, and test the operation. The 900PB series is a high-performance line of distributed I/O modules. These units feature universal input/output ranges and an intelligent microcontroller to provide extreme flexibility and powerful monitoring and control capabilities. Select from a variety of analog and discrete remote I/O models to meet your application requirements. Each module provides a direct network interface for your I/O signals. Unlike “block I/O” devices that combine a large and expensive processor block with snap-on I/O terminal blocks, 900PB modules handle the network interface and I/O processing in a single, compact multi-channel module. This space-saving approach is very cost-effective for systems that need to add some I/O channels at an existing control site or network new, remote sites. To ensure unsurpassed performance, these I/O modules employ advanced microcontroller technology. Isolated input, output, power, and network circuits increase noise/transient immunity and prevent ground loops. Status LEDs provide diagnostic feedback. Acromag's BusWorks™ 900 Series I/O System is a collection of analog and discrete remote I/O modules with Modbus-RTU protocol network communication. BusWorks™ modules are ideal for a wide variety of distributed I/O applications including data acquisition & control, process monitoring, and test & measurement. Windows®-based configuration software simplifies module setup with easy selection of input/output ranges, alarm setpoints, and other operating parameters. All 900MB I/O modules communicate over a high-speed RS-485 network supporting data transfer rates up to 115K baud. Analog input modules accept variable DC voltage, current, and thermocouple sensor signals and feature local limit alarm capabilities. 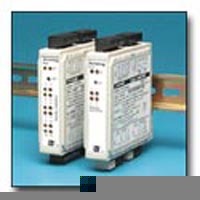 Analog output modules provide DC voltage or current field control signals for local displays, recorders, variable frequency drives, valves, and other control equipment. 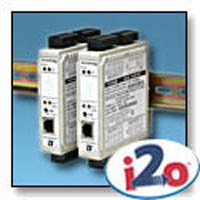 Discrete I/O modules monitor and/or control the on/off status of industrial devices. 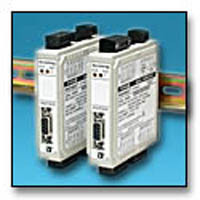 3rd-Party Integration Kits offer a way to connect to third-party automation systems such as Modbus ® and Allen-Bradley Data Highway ®. Developer Kits are for customers who want to develop their own custom software to communicate with Opto 22 hardware. FactoryFloor legacy software suite. 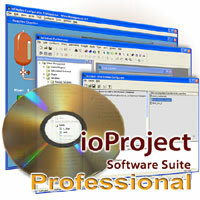 ioProject software is recommended for new development. ioProject Professional provides a migration path for FactoryFloor customers; the SNAP PAC S-series controller provides backward compatibility with mistic I/O units. ioProject Basic software is included in your purchase of an ioProject controller and also can be downloaded from this section. 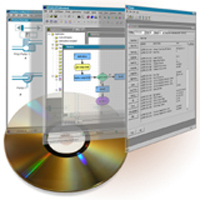 ioProject Professional software adds network segmenting or Ethernet link redundancy and provides a migration path for Opto 22 FactoryFloor™ customers.